China Queen’s are renowned for their efforts towards mass voting and other activities. 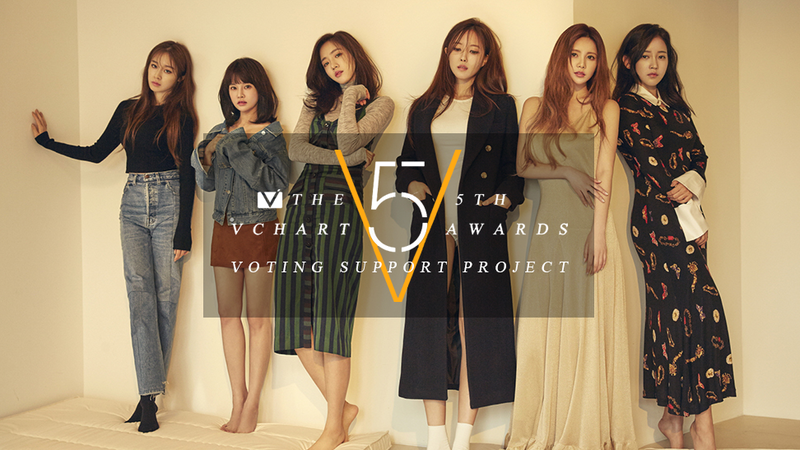 With the YinYueTai 5th V Chart Awards coming up, T-ara are slated to win two awards. Furthermore, they’re nominated for an additional category as well: 2017 Most Popular Celebrity (Korea.) The category winner will be determined by fan votes. China Queen’s will once again be pooling their efforts for this category and this time we hope to be there to help them. The voting will be in two phases. 15 candidates from the first phase will move onto the second phase. The nominees with the most votes in each region category will win the V Chart award for 2017 Most Popular Celebrity. It is in the second phase we will be lending our hand to China Queen’s. The second phase requires paid-for-votes. China Queen’s put in massive amounts of money to help get T-ara to the top and we will be helping International Queen’s who wish to join their efforts by collecting funds for the second voting phase. Voting phase one: March 6th – March 20th. Voting phase two: March 22nd till April 5th. If you wish to donate towards this effort, please PayPal your contribution to yinyuetai@tiaradiadem.com. Deadline is March 21st! Please drop a comment or send a tweet to @tiaradiadem for any questions or concerns. Just would like to know to which country is this paypal email add is? I want to send from Australia and paypal is asking me to which country I am sending the money. I haven’t use paypal for a while so this new change is unfamiliar. It’s ok now. I managed to send it.